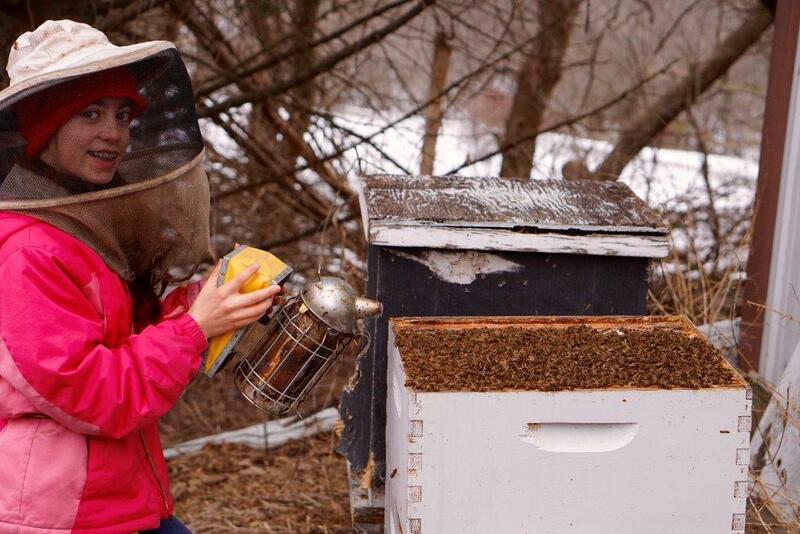 CATCH THE BUZZ – Amara Orth of Council Bluffs, Iowa, is Focused on Studying the Habitats from Which Bees Collect Propolis. This 14-year old just won $3,500 towards her choice of STEM summer camp for her project, in which she studies the material honeybees use to build nests in order to better inform beekeepers of where to place hives, as well as her critical thinking, communication, creativity and collaboration skills. Amara, a 14-year-old from Council Bluffs, Iowa (Lewis Central Middle School) on October 23 won first in in the science category the Broadcom MASTERS, the nation’s premier STEM competition for middle school students, founded and produced by the Society for Science & the Public. Amara has won $3,500 towards her choice of STEM summer camp for her overall mastery of science and engineering as well as her project. Amara is focused on studying the habitats from which bees collect propolis, a material used to fill the empty space in a beehive. Her research can assist beekeepers in selecting the location of their bee yards enabling honey bees to choose better, healthier propolis and stymie the spread of pathogens.